Many gamers were feeling gutted last month when news broke out that Telltale Games had fired the majority of its staff, essentially shutting its doors while a skeleton crew took care of finishing off the company’s remaining commitments. 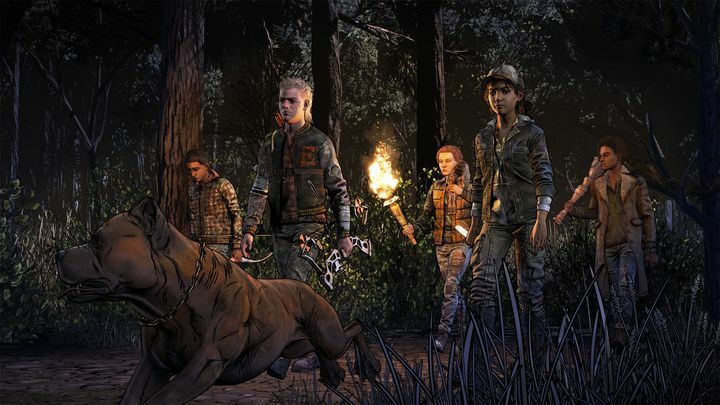 And now that the remainder of Telltale Games has finally exited the door, many were left wondering what would happen to the final season of The Walking Dead, the episodic adventure game starring well-known video game character Clementine which has garnered millions of fans worldwide since the first season came out in 2012. Many were just assuming that The Walking Dead: The Final Season would be left unfinished, and those who had paid for the complete season would only get to play episodes 1 and 2, the latter being released a few days after news of Telltale’s fate reached the airwaves. But now it appears that Clementine’s story might actually be completed as was recently reported on IGN. Actually, Robert Kirkman’s company Skybound has stepped forward and reached and agreement with Telltale, and will be finishing the final two episodes of this last season of The Walking Dead video game, as Kirkman himself said at the Comic Con show in New York. “We’ve successfully negotiated with Telltale Games for our company Skybound to come in and see Season 4 of the Telltale game to completion”, said Kirkman, who’s also behind The Walking Dead comics the game and TV series are based on. His company, Skybound, has mostly focused on comics to date, although its video game division has also put out games like The Walking Dead: Road to Survival, a role-playing game based on The Walking Dead comics and TV series. According to a tweet by Skybound Games, more news will be coming soon about The Walking Dead: The Final Season video game, although it would no doubt be a great thing for the millions of people who have enjoyed the games to date if the season’s last two episodes turned out to be as memorable as the rest when they are released in the near future.